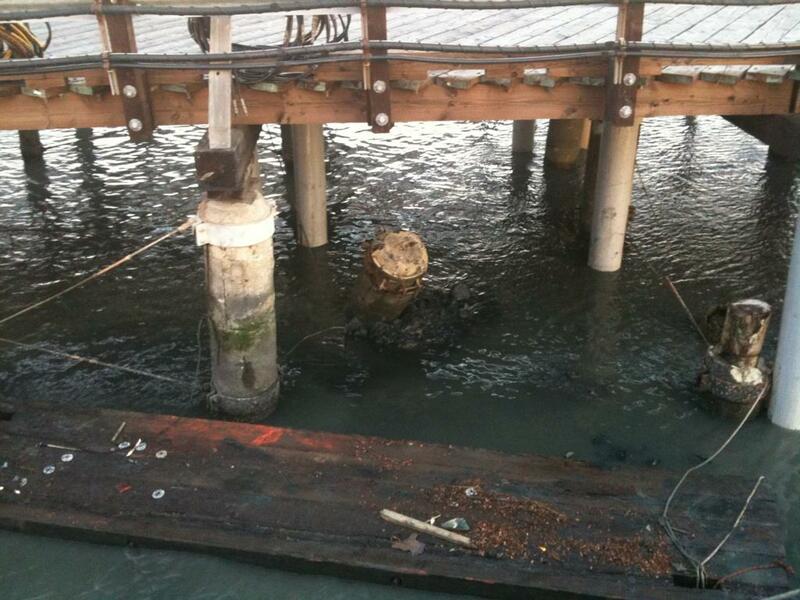 Refinery Wharf Pile Removal - Global Diving & Salvage, Inc. Global Diving & Salvage, Inc. assisted with pile removal of approximately 45 timber pilings and five concrete encased pilings for maintenance operations to portions of the Shell Refinery Wharf approach in Martinez, CA. The project also included installing fiberglass forms on timber pilings for concrete restoration along the approach way.